﻿ Drop Everything And Watch Tabu's AndhaDhun NOW! Drop Everything And Watch Tabu’s AndhaDhun NOW! Drop Everything And Watch Tabu's AndhaDhun NOW! Through most of 1960s, 70s and 80s, Bollywood nurtured a quaint trope, the piano song. Unlike it’s more toxic cousins, the ched-chaad song or the villain-ke-den-mein-dance song, this was a less misogynistic way of saying that the greatest truth of Indian cinema – women are to be possessed. The piano song would almost always take place in a public setting. It would have the hero and the heroine confessing about their deepest fears and desires while running their fingers blindly over piano keys. At times, they wouldn’t even do that. Just plonking yourself in front of a piano and lip-synching to Lata/Rafi (with a peppering of Kishore and Mukesh) numbers would be enough. In other words, the piano in these songs was the perfect MacGuffin, a motivator that the protagonist pursues, often with little or no narrative consequence. 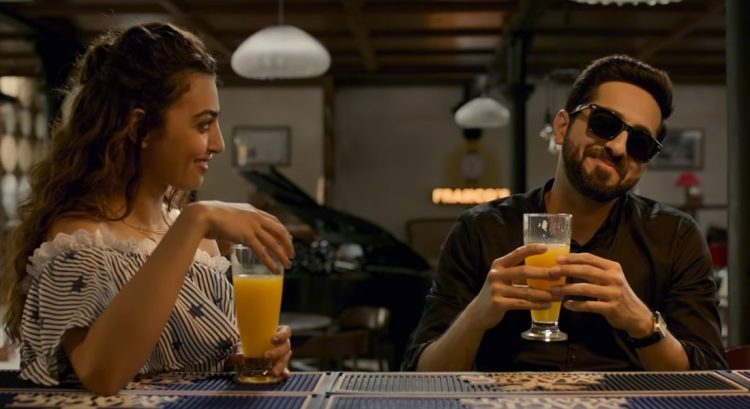 In a twisted sort of way, Sriram Raghavan’s fantastic AndhaDhun is a tribute to Bollywood’s longest-running MacGuffin. Here the piano often finds itself at the centre of some brilliant set pieces. But the blind tune (AndhaDhun) in question might not have any bearings to a piano at all. Akash (Ayushmann Khurrana) is a blind pianist, yes, well, for most parts of the film at least. He is in search of a perfect tune and plays at a restaurant. He is courted by a sun-kissed Radhika Apte, who runs the restaurant he plays at. His affinity for old Bollywood songs finds him a loyal patron, Pramod Sinha (Anil Dhawan), a has-been star from the 1970s. Simmi(Tabu) is Sinha’s trophy wife who is pegged to cheat on him. In Raghavan’s sardonic world, every character is laced with an afterthought. Simmi is a femme fatale, yes. But she is also helplessly dependant on the kindness of people around her. Nimmi’s beefy clandestine lover (who also happens to be a cop), is almost infantile in his dependence on his wife. A ruthless organ harvester has a moment of introspection when she is confronted with religion. AndhaDhun is a film where plot devices are introduced and made redundant with dizzying speed. The result, however, is a delirious triumph. Each crazy development is a twist of the psychedelic kaleidoscope. Through all this, Raghavan is consistently self-aware, like his Bollywood inspiration, the 1960s blockbuster director, Vijay Anand. His breathlessly-mounted set pieces are, like in Anand’s ‘Jewel Thief’ and ‘Johny Mera Naam’, always accentuated by humour. In fact, the inherent virtue of AndhaDhun is comedy: this is more deadpan and often sadder than Raghavan’s earlier films, soaked in the plaintive lilt of Kishore and Lata ditties, beautiful and strange. Khurrana, in one of his more restrained performances, is alternatively bleary and aghast through most of the film. Like most of Vijay Anand’s heroes, he is thrown into helpless situations which he is ill-equipped to handle. Tabu, who is in control of the plot through most the film, approaches her morally depraved character with a secret sauce that most actors of today lack- nonchalance. She is a woman trying to make the best of situations she is confronted with. 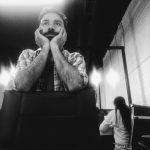 AndhaDhun is packed with shitfaced hilarity, moments of introspection, stylistic ingenuity and pitch-perfect performances that keep playing back in your head. It will probably not demand repeat viewings, but it’s an experience you will cherish. AndhaDhun, without doubt, is work of a major talent.